ABOVE: The funeral procession for Fr Garland leaves the grounds of St. Barnabas’ Church, Red Hill, bound for Toowong Cemetery on the morning of 10 October 1939. 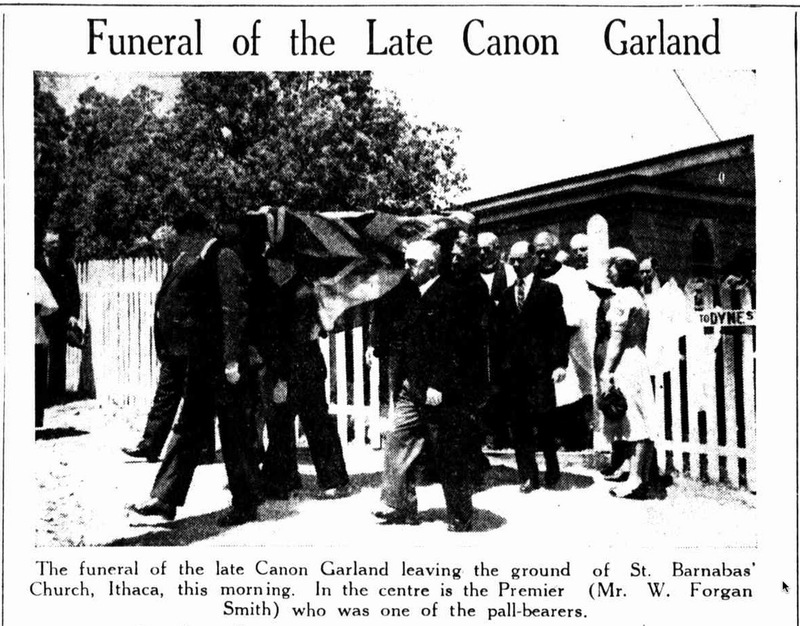 In the centre is Queensland Premier, William Forgan Smith, one of the pallbearers. One of the other pallbearers was a future State Premier: Edward Michael (“Ned”) Hanlon, the local State Member for Ithaca. 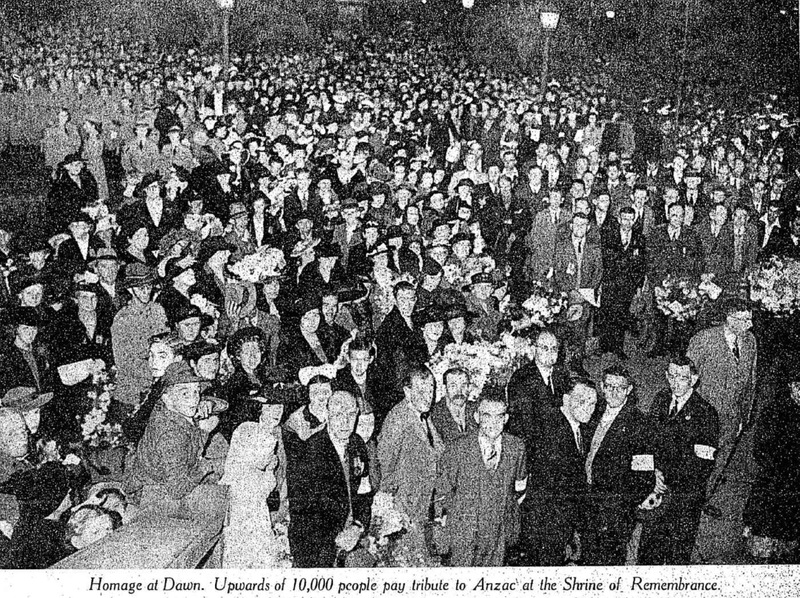 This photo appeared on page 10 of Brisbane’s “The Telegraph” newspaper of 10 October 1939. “OF his character I would say that essentially he was a fighter. He was not one of those people who found an easy path through life. “To him the whole world was a battle, a great struggle between right and wrong, and in that warfare there was no place for hesitancy or diffidence. “He had a mind very unlike that of a scholar, although he had a very great knowledge, and I have to confess that when I ventured to contradict him on one occasion, he was right and I was wrong. Archbishop Wand [ John William Charles Wand ] spoke thus at the funeral service of Canon Garland at St. Barnabas’ Church, Waterworks Road, this morning. Archbishop Wand said that it was the late Canon’s wish that the service should be held there instead of at the Cathedral. Archbishop Wand said that it would be impossible for him to cover one-half of the many activities of the deceased cleric, of whom he had heard before he (his Grace) came to Queensland. He had heard his name spoken with something akin to bated breath at the Immigration Office in London. “His loving regard for the soldiers is better known to you all than even to me,” his Grace added. “The late Canon Garland was essentially one of those who believe that religion should penetrate into every part of human life; it was not merely something for the inside of a Church, or for those moments we spend specifically in prayer, but he was really politically minded in this sense, that he believed that religion had a great deal to do with the government of a State, and its social organisation in every detail and in its culture. “He rendered service, therefore, not only to the soldiers and immigrants but he was especially strong in his friendship, for those who are actively engaged in the work of the political organisation of the State. Archbishop Wand said that he never had met anyone who more desired the love of the people, and first and foremost notwithstanding his other gifts, he was a parish priest entering most intimately and affectionately and helpfully into the life of his parishioners. St. Barnabas’ Church was far too small to hold more than a comparatively few of all those who attended the service. 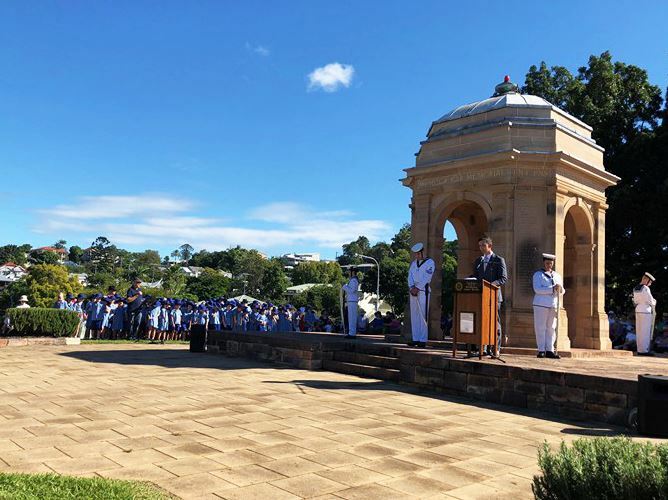 The grounds outside were also filled with those who listened in or reverently stood while the long service was in progress. This took the form of a solemn requiem with the innovation of a sung Nicene Creed. Archbishop Wand was assisted by Archdeacon Thomas [ Harry Thomas ] and Rev. W.P. Foley [ William Percy Foley ], the late Canon Garland’s assistant. In addition, in accordance with the request of the late Canon Garland, who was a Knight of the Holy Sepulchre of Jerusalem, portion of the Greek Orthodox burial service was read. This service, which was arranged by Mr. Christy Freeleagus [ Christy Kosmas Anthony Freeleagus ], Consul for Greece, was read by Rev. Dr Nikon Patrinakos, Archimandrite of the Greek Church here, with whom was associated Rev. A. Antonieff [ Valentine A. Antonieff ], priest of the Russian Church, and Monk F. Shaverin [ Fedot Shaverin ], of the latter church. The pall-bearers were the Premier (Mr. W. Forgan Smith) [ William Forgan Smith ], the Minister for Health and Home Affairs (Mr. E.M. Hanlon) [ Edward Michael Hanlon ], the Director-General of Health (Sir Raphael Cilento), the secretary of the Queensland Ambulance Transport Brigade (Mr. E.R.B. Pike) [ Captain Eustace Royston Baum Pike ], and Messrs. E.W. Hughes [ Edgar William Hughes ] and L. Carlisle [ Leslie William Carlisle ] (church wardens). 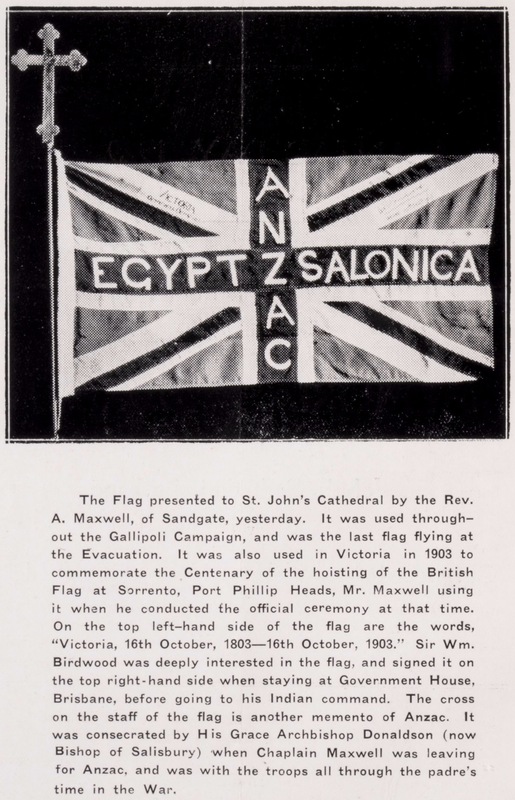 Amongst the many present wore representatives of the Crown and Government departments, the Chief Justice and Lieutenant-Governor, the Defence Department, and Returned Soldiers, the Church of England Men’s Society, the Queensland Bible in State Schools League, and other present or past organisations. A large number of clergy attended. The funeral took place at Toowong Cemetery. – from page 10 of “The Telegraph” (Brisbane) of 10 October 1939.